Sales rep salary varies heavily, but here’s how it breaks down by state. 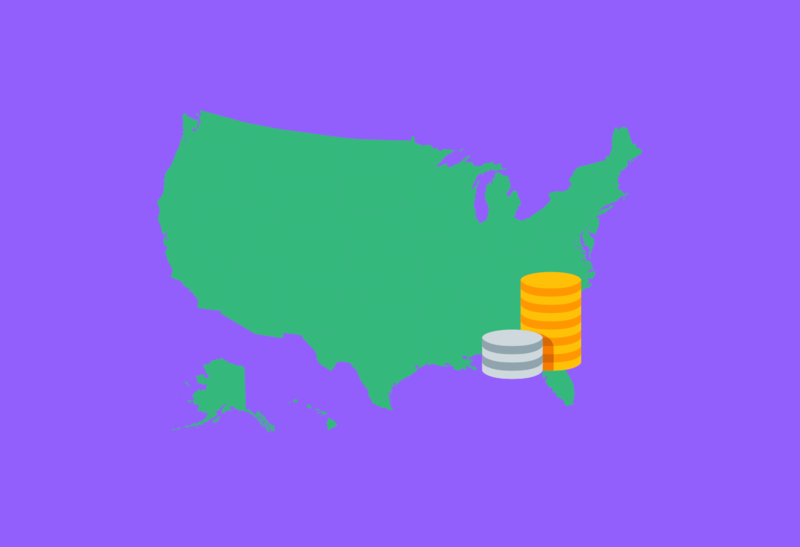 Whether you’re looking for a job, negotiating a raise, or looking to hire sales reps — knowing the average sales rep salary for your state will help you! The sales industry can be finicky. Salaries can stagnate and leave you needing a cost of living increase in addition to your commission (which you may have to negotiate). Not to mention that it’s not likely that a great rep will be selling the same thing at the end of their career as when they started. This may even require a move or two over the course of your working life. If you find yourself staring at of one of these issues, you may find it helpful to know the average sales rep salary by state. You’ll also need all of the tools necessary to make an informed decision. We were sent this post from the folks at FitSmallBusiness. It’s fantastic and can help you determine whether or not you’re being compensated fairly. With the help of indeed.com and a nifty infographic, we’ve done just that. If you find it interesting or helpful, do us a favor and share it with your colleagues. Note: The average sales representative salary in the U.S.A. is $58,007. Some places are more expensive than others. A place that pays you more to sell stuff may end up costing you more to live there. Good Example: New Hampshire is the number one in terms of salary, but it’s also nearly 20% more than the national average in terms of cost of living. In this case, the average salary is more than the cost, making it a good deal. Bad Example: Hawaii on the other hand—not so much. To sell there, you’ll make less than the average sales salary and cost of living is 67% higher than average. Not a great place to save for retirement. Further Research: Here’s a post listing the cost of living by state. How well is the sales industry thriving in your state? A good way to tell is to pair up the salary of a sales rep and the average salary in that state. This could also be a great way to negotiate for a raise. If your wage is lower than both averages, it could give you a bit more leverage (but be careful). Bad Example: Hate to pick on Hawaii again, but if the salary fits. The average statewide pay is $68,201 while the sales reps bring in nearly $14k less than that! Further Research: Here’s another post giving you the average salaries by state. Hi James – This actually encompasses all sales rep salaries.